So three years ago last week my postman delivered my first beauty box. 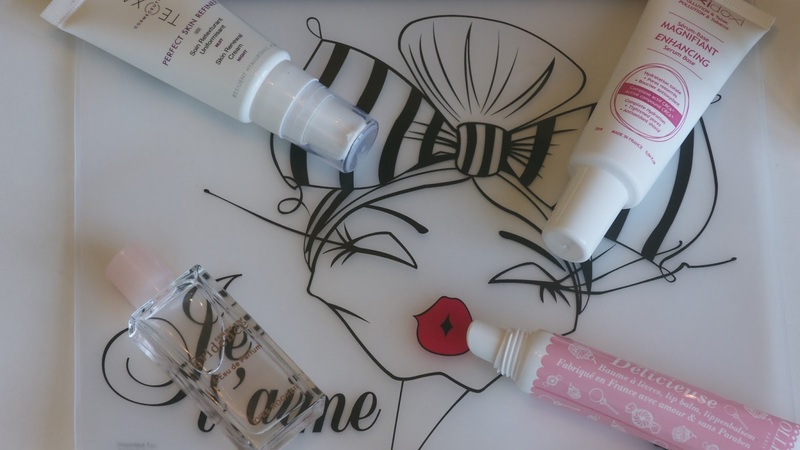 Back then I think that there was only Glossybox available and I discovered it through the company I was working for at the time. As they years have gone by I’ve seen & embraced many of the boxes that have joined in the sampling market. 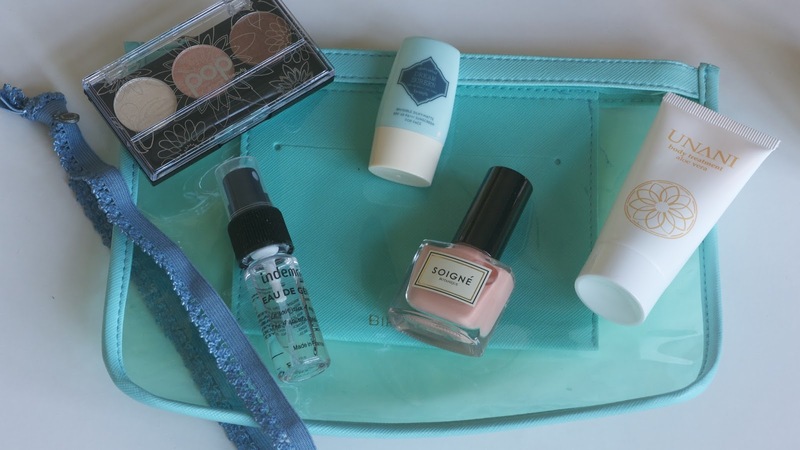 Recently my two boxes of choice have been Glossybox & Birchbox and so I thought I would put them into battle against one another. Let battle commence! First to arrive this month was Birchbox. One thing I always love about Birchbox is their packaging, not only are the boxes different every month (who could forget their Free Your Mind box) but they always house their products in a handy bag inside too. In the past we have had purses, makeup bags and now this clear clutch which if saw my post last night you will know that I have deemed as the perfect document holder for my jollies. Amongst the products inside was a sample of Benefits Dream Screen (already in my suitcase), a hairband (already in my suitcase), a Pop Eyeshadow Trio (that I have used every day for the last week because it is summer in a palette) along with a few sample products that I am yet to try out. Having seen all the hype about the latest Glossybox before it landed I was quite excited for it to arrive. However, that was short lived upon opening it. 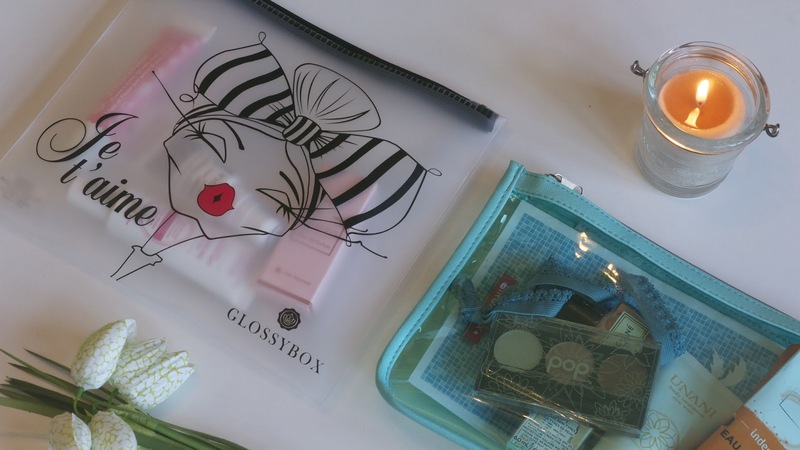 Unlike the bag in the Birchbox, Glossybox’s effort was flimsy, smelt very plasticy and generally felt cheap. Also it seemed to be that there was one less sample than usual and that the bag had taken the fifth product spot too. Moving on to the contents, the mini perfume was a tad over powering scent wise, I’m not a massive fan of tube lipgloss’s like the Lollipops one that was in the bag either because they tend to leave too much product on the lips but it smelt nice and didn’t feel tacky on the lips which was positive and as of yet I am still to look at the two skincare items in there. Overall this month Birchbox came out on top as they have done frequently in recent months thanks to their innovative themes, box designs and ‘freebies’ that have been useful and welcome additions. Unfortunately after 3 years of being a Glossyboxer, off of the back of the above I decided to call time on my subscription with them. I’m a never say never kind of girl, but they will need to up their game to win me back.